Posted 10th September 2012 by paulhollinghurst in Accessibility. Station accessibility is a frequent subject for campaigns on FixMyTransport. Progress is being made by the rail industry but it will be many years before stations are universally accessible.There are two main aspects to rail accessibility, firstly people should receive the best help and information about the current facilities when making a journey, and secondly that there is continual progress towards fully accessible stations and trains. Regarding help and information, National Rail have just launched a Rail Travel Made Easy Website. This guides you through the whole journey and includes plans and photographs of every station and information about how to book assistance. For making progress towards a fully accessible network, FixMyTransport campains are an ideal way of gathering supporters, getting advice and tracking and publicising progress. Examples of issues include large gaps between the platform and train, poor access problems such as at Beeson and Chepstow, and major upgrades being needed such as at Wakefield Kirkgate. Some good news is that the Department for Transport (DfT) have funded an ‘Access for All’ programme which was launched in 2006 and includes main, mid-tier and small station budgets. The existing programme of work covers 154 main stations that will receive an accessible route into the station and to and between each platform, normally using lifts or ramps. A further 160 stations are being upgraded as a result of the mid-tier programme (where bids were made for the funding) and will benefit from work ranging from platform humps to reduce stepping distances to new step free routes. 1000 stations are covered by the small stations programme (where each operator is allocated a budget) which tends to focus on improvements for visual or aural impairments. A further £100m has recently been announced for ‘Access for All’ and the DfT will be looking for stations to include in the programme. If there is a local Rail User Group then this will often be able to help with information and support for station enhancement campaigns. Railfuture have a list of Rail User Groups. The access ramp shown in the photograph was built by the train operating company following a local campaign. So good luck with your campaign which FixMyTransport can help to succeed and please get in touch with the Team at FixMyTransport if you need any help or advice contacting organisations. It shouldn’t just be about disability for access. My local station (Dudley Port) is accessible via steps only. Getting a pushchair up to the platform is a nightmare unless you’re strong enough to do it yourself, or you bump the chair up backwards, or you have two adults to do it. Coming down from platform level is even worse. 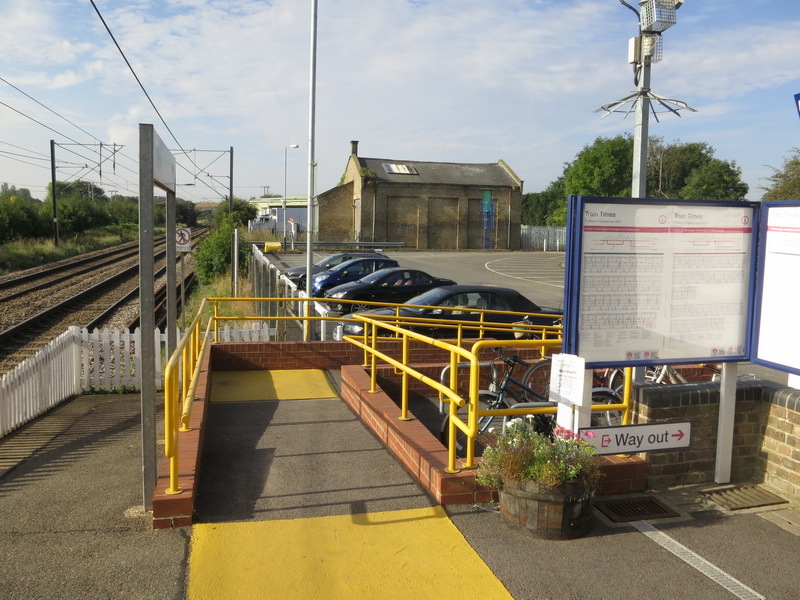 The station was deemed as used enough to justify a new commuter car park, but the platform access needs redoing as well. I agree that accessibility improvements will benefit everyone. I’ve been a mum with an over-burdened pushchair, and I’ve been a cyclist trying to get my bike over a station bridge, too. Clearly those are both temporary conditions, but it goes to show how making enhancements for those who need it all the time could help everyone some of the time. PS, Stuart, I hope you will start /have started a FixMyTransport campaign about Dudley Port!